I am about to give you some very dangerous information. 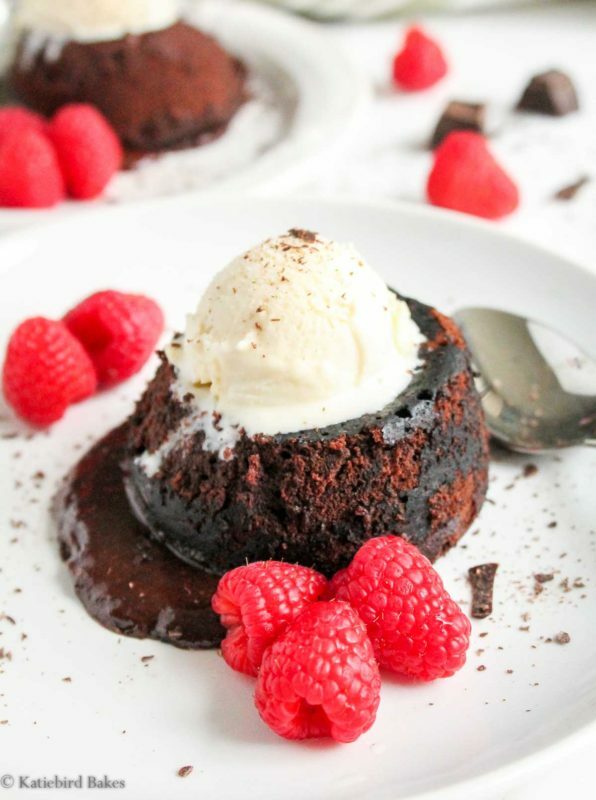 This rich, melty, positively sinful molten dark chocolate cake can be yours in about a half hour. 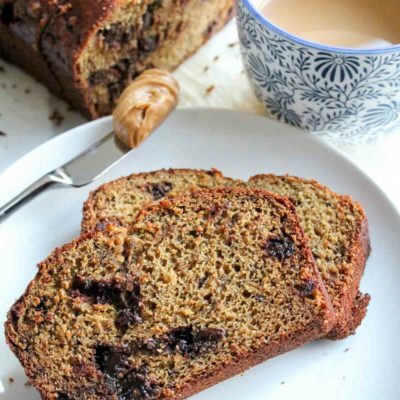 You probably already have the ingredients in your pantry/fridge. And the recipe makes exactly two cakes. 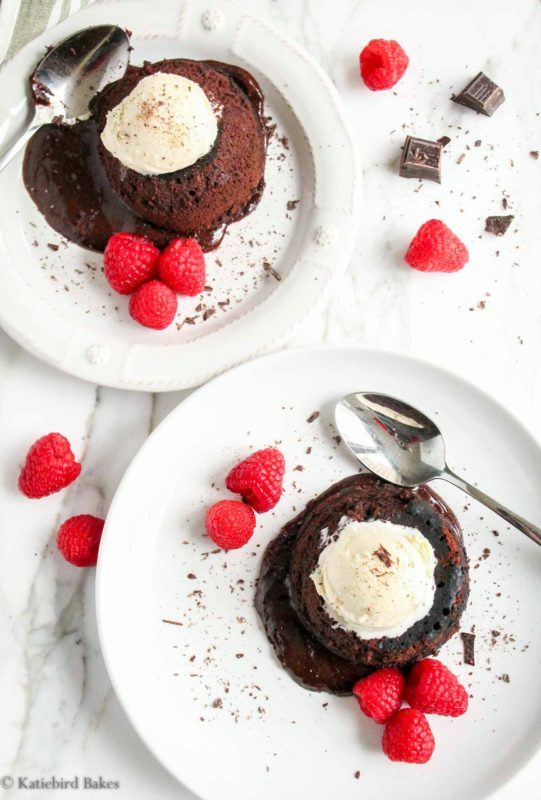 Molten or “lava” cakes seem like they are one of those fancy desserts that we should leave to the experts at restaurants, right? No. Don’t let their feigned fanciness fool you. 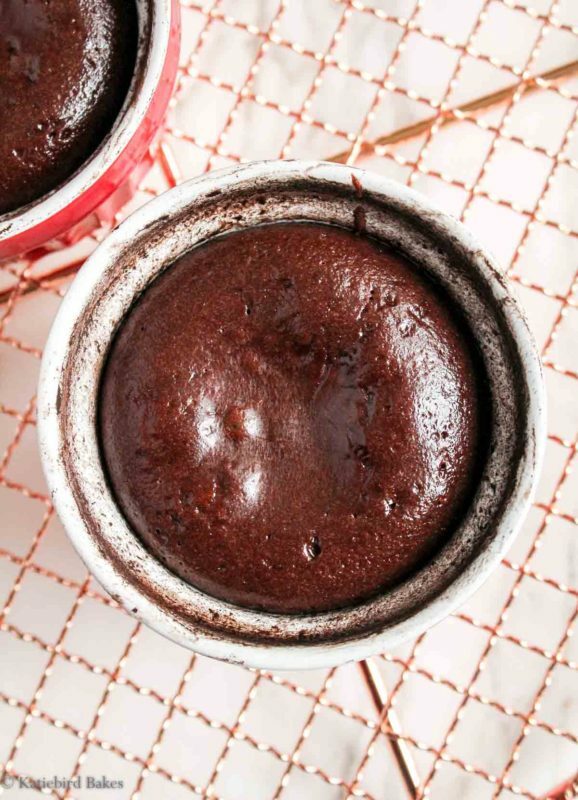 These may be one of the easiest desserts you can make, as long as you have two ramekins (or other 1-cup oven-safe dishes). 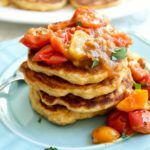 They look and taste so impressive, though, that everyone will think you’re a kitchen genius and no one, not even your significant other, will be the wiser. So grab a glass of wine, and let’s do this. The ingredients for these cakes couldn’t be simpler. 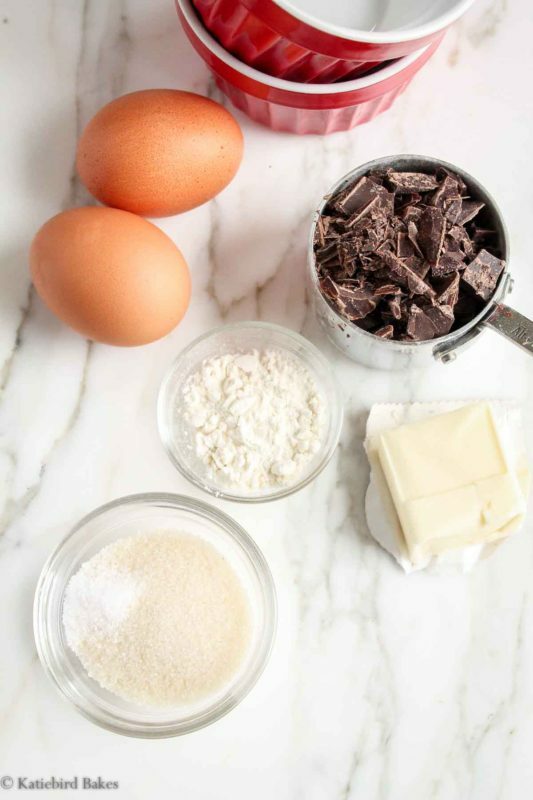 Put chopped dark chocolate (you can use chocolate chips if that’s all you have, but they don’t melt as well) and butter in a microwave-safe bowl and microwave them in 30-second intervals, stirring in between, until smooth and glossy. Let it cool for a couple minutes, then whisk in your sugar and salt. Whisk in the eggs, and then stir in the flour until just combined. Don’t beat it too much; be gentle. These cakes are fragile. 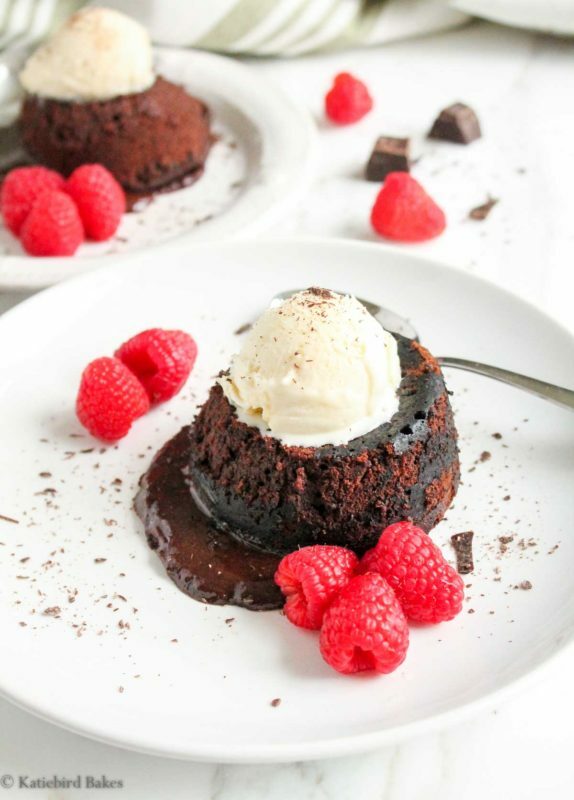 You’ll want to thoroughly grease the ramekins with butter and dust them with cocoa powder. 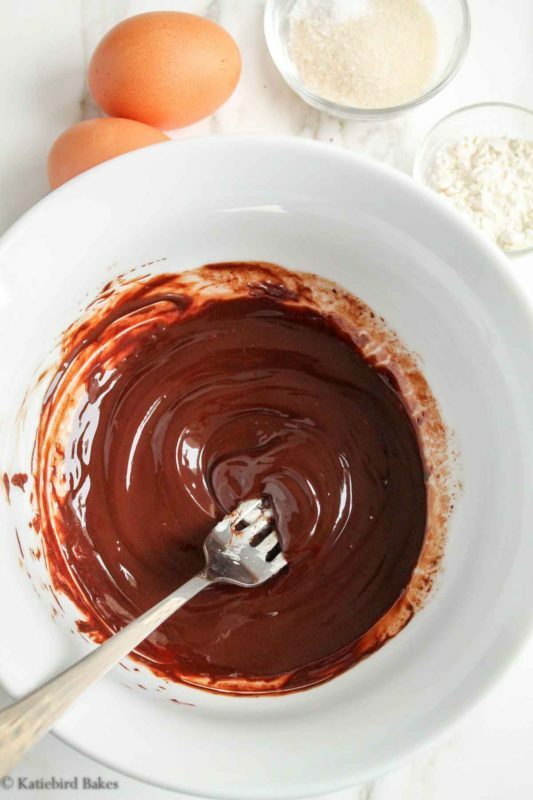 Do this by putting just a pinch of cocoa powder into the ramekin after greasing, then tap it around in a circle while turning the ramekin in your hands. Get it all over the bottom and sides, as above. This will help our cakes release! Now bake for 12-15 minutes at 375 degrees, until the cakes have risen a bit, the edges seem done, and the tops are shiny, but the center is still jiggly. Yes. Now, the fun part. Put them on a rack, wait for 2 minutes, then put a plate over top, flip, and pull the ramekin off. 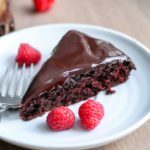 If you’re nervous about the cake sticking, you can run a knife along the edges of the cake before you flip. But be bold – fear has no place in the kitchen. I like topping mine with ice cream and raspberries, but whipped cream and strawberries would also be glorious. Or just, you know, plain with some powdered sugar. But it’s Valentine’s Day, so let’s be over the top. OMG. Just…please go make it, right now. Thank me later. 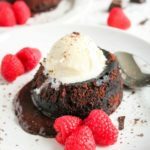 Rich, molten dark chocolate cakes for two can be yours with only six ingredients and 30 minutes! Perfect for date night or Valentine's Day. 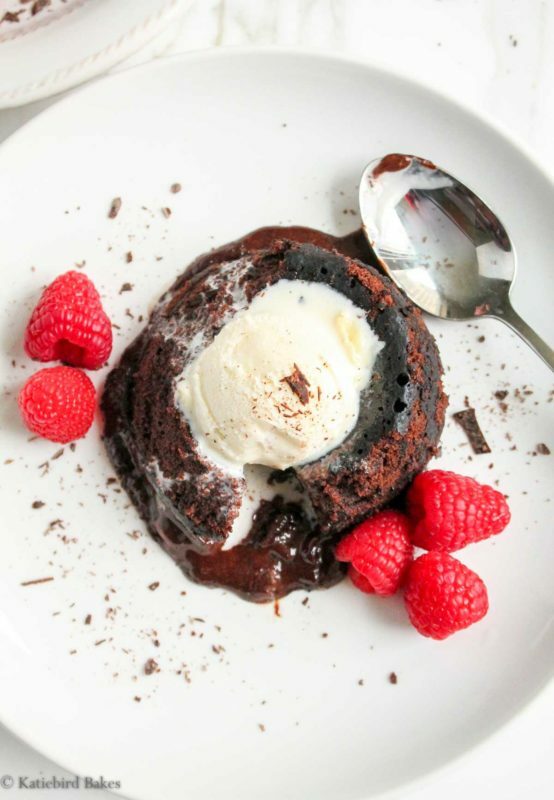 Preheat oven to 375 degrees F. Butter two 1-cup ramekins generously, and dust with cocoa powder. Set aside. 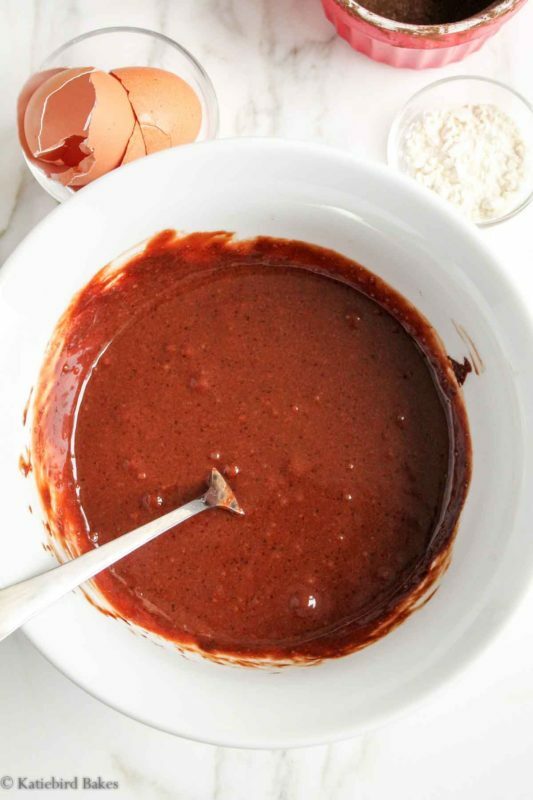 Place butter and chocolate in a microwave-safe bowl, and microwave in 30-second intervals, stirring in between, until melted and glossy. Let cool for 2 minutes. Whisk in sugar and salt, then eggs. Stir in flour until just combined. Divide batter evenly among the two ramekins and place ramekins on a baking sheet. Bake for 12-15 minutes, until cakes are slightly risen, the edges look done, the top is shiny and the middles still look a bit jiggly. Allow the cakes to cool in the ramekins for two minutes, then invert onto plates. If you're nervous about the cakes sticking, just run a knife along the inside edges of the ramekins to separate before flipping. 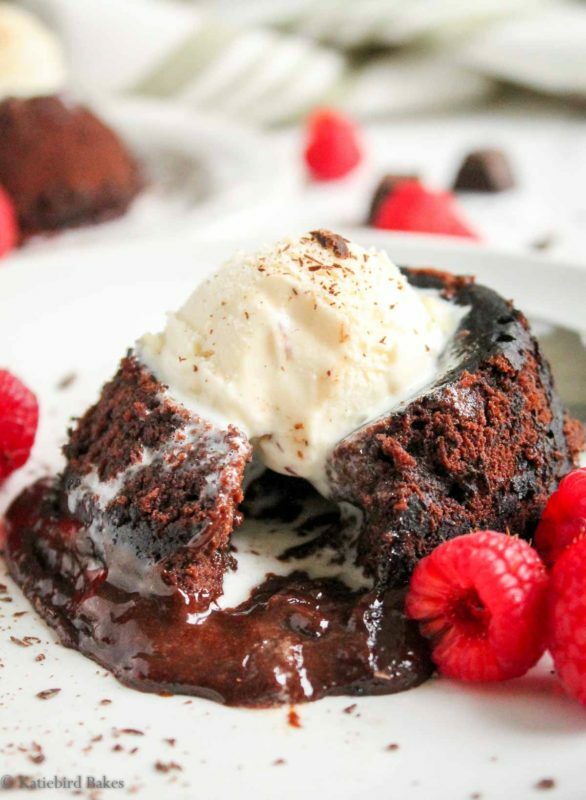 Top with ice cream and raspberries and enjoy immediately! Recipe adapted from the Joy the Baker cookbook. Note: if you want to make these ahead, just prepare the batter earlier that day and divide among the ramekins, then store in the fridge until you're ready to bake. You might need to add an extra minute to the baking time; just watch carefully. And in case you’re wondering how I got these shots in broad daylight…yes, I did eat one for lunch. I regret nothing. Can I make them in silicone ramekins ? Hi Kareina – yes that would work just fine! 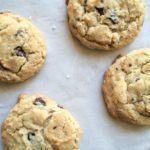 Make sure to put them on a baking sheet though!